The Friends of the Smokies non-profit support organization for the Park offers monthly guided group hikes the second Tuesday of each month. See their schedule below. Swannanoa Valley Museum in Black Mountain has two guided hikes each month. Their Swannanoa Rim hiking series offers eleven hikes that will take place the third Saturday of each month. The Museum’s Valley History Explorer Hiking Series consist of seven moderate (about 3 miles) hikes to historic locations around the Swannanoa Valley. See their schedule below. 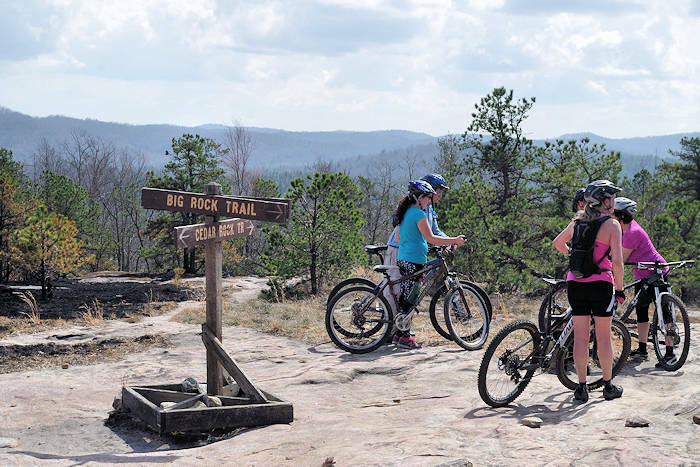 The Carolina Mountain Club offers three or more group hikes each week, from easy rambles on mostly flat trails to challenging, all-day hikes over steep terrain. Each hike is rated by difficulty, length, and altitude gain, from C (easier) to AA+ (strenuous). Annual membership fees are $20/person. See their long list of hikes at carolinamountainclub.org. Blue Ridge Parkway rangers conduct weekly hikes in the summer and fall in the Asheville area, usually on Friday mornings at 10 AM and some Thursday evenings. See our list of dates and locations, usually announced two weeks ahead. The Pisgah Field School offers regular guided hikes as well as custom hikes just for two! Read more. 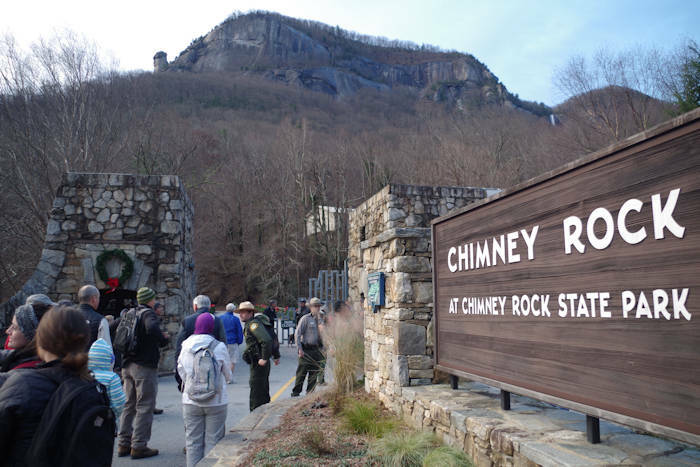 Chimney Rock Park rangers lead hikes throughout the year. See their list of events for dates. Lake James State Park rangers give frequent guided hikes and nature walks. Go to their calendar of events. Conserving Carolina has guided hikes for members and visitors throughout the year. See breathtaking vistas, waterfalls, historic homesteads and much more tucked away in Great Smoky Mountains National Park with the Classic Hikes of the Smokies Series. The hikes feature trail interpretation, history and information about park projects that donations to Friends of the Smokies support. Carpools are available from Asheville and Waynesville. The guided day hikes are $20 for members. New members may join Friends of the Smokies and hike for a total of $35. 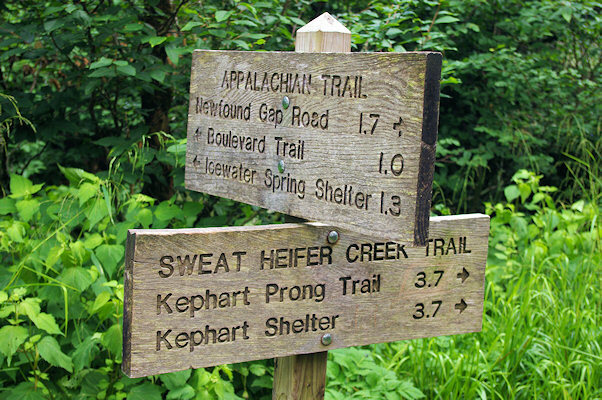 Donations benefit the Friends’ Smokies Trails Forever program. Also in 2018 will be several guided backpacking / camping trips! For info and registration, go to the Friends of Smokies Website. ​Swannanoa Valley Museum in Black Mountain has two hiking series that have been a local's favorite for many years. The challenging Rim Hike Series explores the peaks of the Swannanoa Valley, while the more moderate Valley History Explorer Series revisits the past of local communities across the Valley. The Rim Hike Series has 11 hikes that explores sections of the 31-mile long Swannanoa Rim. They take place every third Saturday from January to November. Participants register in advance and meet at the Museum (223 W. State St. Black Mountain) to depart at 8 AM. The hikes are led by veteran hikers who share their knowledge about the history, topography, and ownership of the land. Each hike ranges from three to eight miles over elevations ranging from 2,316 to 6,462 feet. Many of the hikes are strenuous and are recommended for experienced hikers. Each hike costs $30 for museum members and $50 for non-members. Purchase the entire series for $280 for members and $310 for non-members. The eight hikes in the Valley History Explorer Hiking Series delve into the unique history of the small communities that shape the Swannanoa Valley. These hikes are both informative for natives seeking a connection with their heritage and newcomers hoping to gain insight into the region’s past. Each hike, led by an experienced guide, is approximately three miles long over moderate terrain. The hikes are held every second Saturday from March through October, departing from the Museum. Cost of the hikes is $25 for members and $35 for non-members. Purchase the entire series for $175. Go to their Web site for upcoming hikes and details. For hike reservations: call (828) 669-9566 or register online. Get picked up at your hotel or B&B in Asheville to explore the Blue Ridge Parkway, Pisgah National Forest and Great Smoky Mountains. Walk under waterfalls, dip in a swimming hole, or take a safari-like tour of wild elk. Guides discuss elk biology, Cherokee villages and mountain flora. A variety of trips, hiking or driving, available every day.